Certified Coating Thickness Standards are used to verify the accuracy and operation of coating thickness gauges and are an important component in fulfilling both ISO/QS-9000 and in-house quality control Coating Thickness Standards requirements. Contracts often specify that coating thickness measurements be taken by gauges whose measurement accuracy is traceable to a National Metrology Institute such as NIST or PTB. Certified Coated Metal Plates are the best solution for verifying the calibration, accuracy and operation of most magnetic, eddy current or ultrasonic coating thickness gauges including magnetic pull-off gauges as well as many competitive models. They fulfill both ISO and in-house quality control requirements. 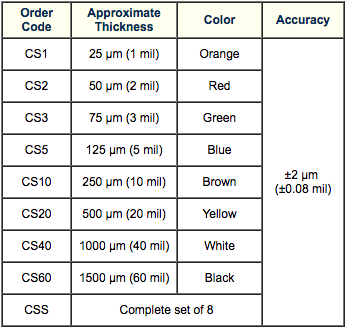 At Â±0.43Âµm (Â±0.017 mil) Certified Coated Metal Plates are our most accurate solution. Certified Polystyrene Blocks are for use with gauges that measure over 1500 Âµm (60 mils). 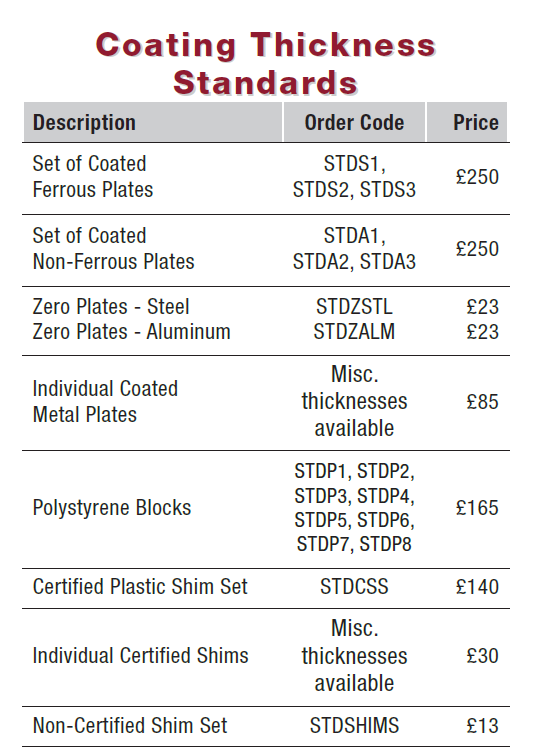 Certified Plastic Shims (foils) provide an economical alternative to coated metal plates. 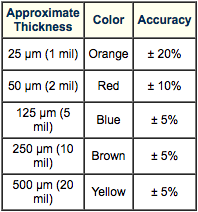 They have a reduced accuracy of Â±2 Âµm (Â±0.08 mil). 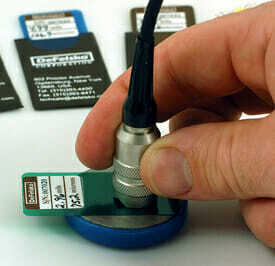 A coating thickness gauge measures shim thickness when this shim is placed over a smooth metal surface (zeroplate).